Throughout elementary school, my dad would turn on the TV at 5 P.M. to channel 50; the Space channel. That’s the time Star Trek: The Next Generation (or whichever Star Trek TV show it was) would play. I’d make a face and say, “Do we have to watch this?” My dad would reply, “Yes.” Suffice to say, I loathed the show. I comprehend why it has such a fan-base, but man, did it bore me to tears! 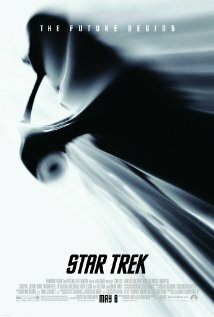 If a future me told me that, one day, I’d like, let alone love, a movie that had Star Trek in the title, I would call myself crazy. It looks like I should be calling every mental institution in town; because this Star Trek is freaking awesome! Star Trek is built to introduce a great franchise to a younger generation, and I’m really glad that it’s so great. The viewer doesn’t have to be a Trekkie to understand what’s going on or even enjoy the hell out of it, for that matter. It’s fairly easy to follow, for a movie that has a lot of time-traveling. Even people with little brains who don’t understand science fiction so well would be able to follow this. To me, that’s very cool. Someone doesn’t have to be a Trekkie to enjoy what’s going on, mostly because it’s actually an amazing action movie. There’s explosions, flying bullets, cool creatures, et cetera. All in space. Sweet! J.J. Abrams is able to bring excellent direction to the feature and some humour to the feature. 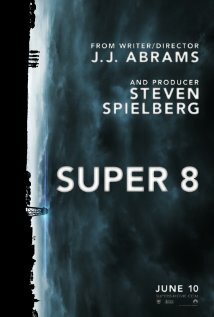 This makes me want to re-watch all that I’ve seen of Abrams’ work, and re-assess my opinions of some of his movies (Cloverfield, Super 8). He truly brings everything to the table, here; and the movie has some great cinematography and visual effects, as well. Whilst the film has an excellent pace, I don’t think the story is incredibly impressive. The story is very good for what it is, but it is limited and it doesn’t have much room to elevate itself above a mere revenge story. It has a lot of time travel, but I think the story is only slightly above average. There’s lots of action and some nice drama, and the witticism of it all is very awesome. I think the movie’s strongest aspect are its characters and its ensemble cast. Chris Pine portrays James T. Kirk this time around, and he’s the great face of the franchise for a new generation. The character becomes suffocated by the shadow of his late father, because he wants to live up to everyone’s expectations. This doesn’t stop him from being very confident and having a good time while performing his duties on the U.S.S. Enterprise. The relationship between he and Spock is a fascinating one. Spock is the main target of the villain Nero (Eric Bana). The Romulan villain is out for vengeance of something Spock did or possibly didn’t do, and that’s what thirsts his anger. Bana is intimidating at the time, but truly forgettable. Anyway, about Spock. Spock is faced with much emotional turmoil throughout the feature, and it hardly helps that he doesn’t know how to effectively portray – or put into words – what he’s feeling. He’s played awesomely by Zachary Quinto, and I think he and Pine are great to lead the Enterprise. It’s great to watch Quinto, because he reminds me why I spent my time watching every episode of TV’s Heroes (I did that task for Hayden Panettiere, too, though). The rest of the cast (Zoe Saldana, John Cho, Anton Yelchin, Karl Urban, Bruce Greenwood, among many others) helps make the fantastic ensemble. They’re an ideal cast to lead the Enterprise. Simon Pegg is also part of the crew, and his role of Scotty reminds me why I enjoy watching him perform so damn much. He’s perfect for this role, and he brings the most wit to the feature. After he shows up, it becomes that much more entertaining and hilarious. Star Trek isn’t able to elevate itself above a solid revenge story, but there’s hardly anything wrong with that. 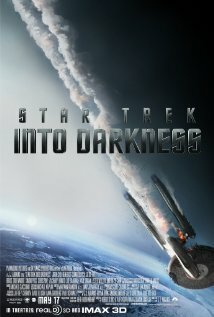 This enjoyable film will still appeal to both Trekkies and newbies to the franchise. This is immensely entertaining, a great space adventure, and an excellent action film.